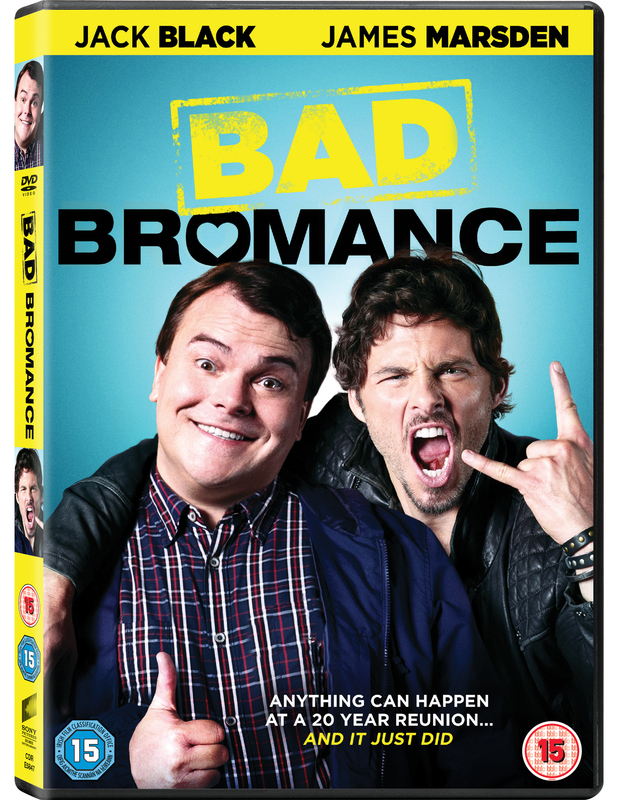 To celebrate the release of Bad Bromance this week on DVD, we’ve got 3 DVD copies to giveaway! Comedy fans everywhere are invited to attend the most outrageously funny high school reunion of the year BAD BROMANCE. Written and directed by Jarrad Paul (Yes Man) and Andrew Mogel, BAD BROMANCE stars Jack Black (Kung Fu Panda series, School of Rock) as Dan Landsman, the socially awkward head of a high school reunion committee determined to finally win his former classmates’ approval by convincing the most popular guy from their graduating class, Oliver Lawless, played by James Marsden (X-Men series, Enchanted), to attend their reunion. Willing to do anything – including engaging in a night of hilariously debauched partying that must be seen to be believed – Dan soon discovers he may have gone too far in the name of high school popularity. Filled with irreverently hilarious and unexpectedly heartfelt moments, this bold new dark comedy features a supporting cast of today’s “most likely to be funny” comedic actors, including Kathryn Hahn (The Secret Life of Walter Mitty, We’re the Millers), Mike White (TV’s “Enlightened,” School of Rock) and Jeffrey Tambor (TV’s “Transparent,” The Hangover). BAD BROMANCE also arrives on DVD with a hilarious gag reel. For a chance to win a copy enter via our competition app below! Bad Bromance is available on Digital HD and DVD now. The competition ends at 23:59 on 2 February 2016. The prize consists of a Bad Bromance DVD. The Grinch Christmas Merchandise Giveaway!